I was alarmed to get a phone call from the expedition organisers the day before we departed ensuring me that the expedition would still be going ahead. I asked why and was told to look at the news. The Russia-Georgia conflict had stepped up a notch and the danger area was on the border, a few miles away from Elbrus itself. Contrary to popular wisdom, Elbrus is the highest point in Europe, not Mont Blanc, which stands at 4808m – almost a km lower than Elbrus. Despite the heightened political situation, to Moscow we went where we liaised with our barmy Russian guide, Dmitry. His fondness for taking his top off was matched only by the regularity of seeing him adorning his beloved aviators in a suitably photogenic location. 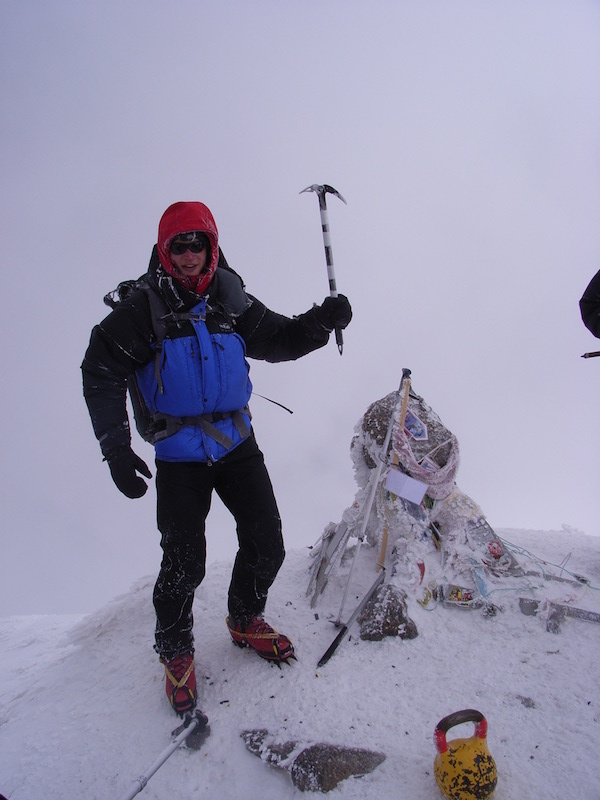 We did most of our acclimatisation on nearby peaks such as Andyrichi (3,913m) before moving to Elbrus itself. After a few days, we moved to the Barrels at 3,800m which would be our base, including some acclimatisation and technical skills sessions, until we made our summit attempt. The climb itself was rather uneventful. The route slowly took us to a fairly gradual slope, zig-zagging our way up this open stretch and gaining altitude at a reasonable rate. The weather turned on us mid-way through the day which reduced the temperature and visibility but we remained resolute and determined to summit as a team. We finally all made it to the top where our views from the highest point in Europe amounted to a matter of metres. Typical. That’s one of the wonderful peculiarities of mountaineering expeditions though. So much time, hardship and struggle…and for what…a view to savour? Not on this occasion but the time, hardship and struggle are always worth it even if the view doesn’t match the expectations. Elbrus represented the finale of a productive eight months where I had reached the highest points in South America, Europe and Africa. My expedition experience was starting to increase and, after the success of those three climbs, I felt I could see a feasible plan to get to Everest in a couple of years. 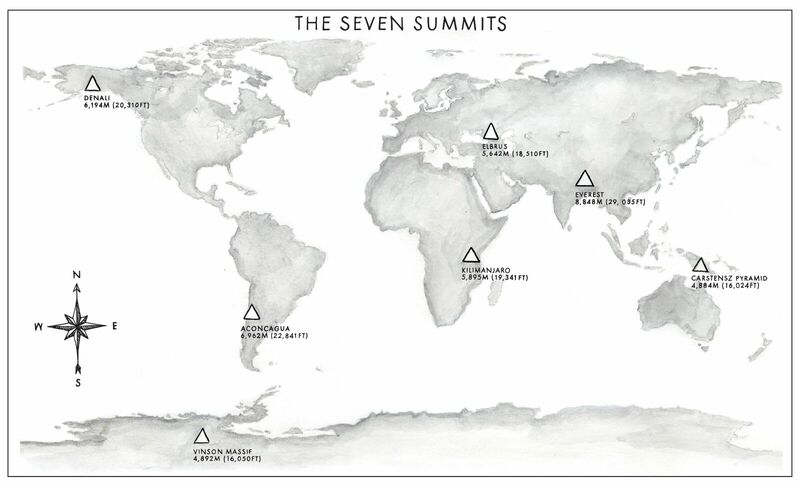 That would, however, be dependent upon how my focus altered having started at University and whether I was willing to maintain the commitment required to make my 7 Summits dream a reality. Either way, it had been a good start and I hoped that trend would continue.